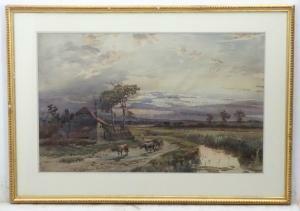 Find artworks, auction results, sale prices and pictures of Charles Frederick Allbon at auctions worldwide. 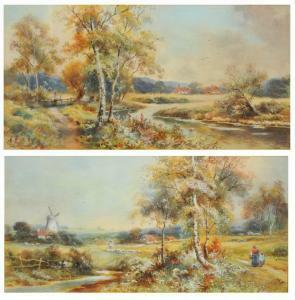 Charles Frederick Allbon ARE (British, 1856-1926) - 'Evening after a Shower' Watercolour, signed, remnants of old handwritten label verso, also printed label verso for H R Lane of Bury St Edmunds, as well as further modern handwritten info verso, approx. 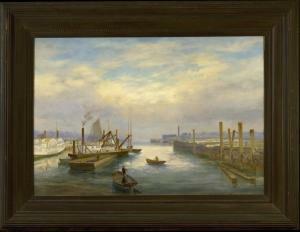 40x63cm, mounted and inset moulded gilt frame.